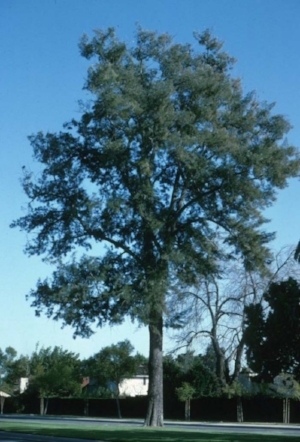 The Australian Pine (Casuarina equisetifolia), known locally as (Casuarina casuariana), is a leafless evergreen tree with horsetail-like thin and jointed gray-green branches that resemble pine needles and give it its name “equisetifolia” (like a horsetail). Despite its name, it is not a pine, but belongs to the Beefwood family. Although its native range runs from Southeast Asia to Australia, it has naturalized in tropical coastal areas throughout the world. It grows to a height of up to 12m, with a spread of 7m, and has a moderate growth rate of about 25cm per year. The Australian Pine grows in full sun and is very heat and drought tolerant. It also is highly tolerant of salt spray, as well as soil salinity and alkalinity. It prefers sandy soils, but can survive in any type of soil, including rocky and extremely poor soils. It has nitrogen fixing abilities through microbial associations that restore nitrogen to the soil. Requires no watering once established. Generally, trees need supplemental irrigation to get established, especially if planted after the rainy season. During the first year, irrigate in the amount of 20 – 25 liters of water twice a week. During its second year, a tree needs to be irrigated in the amount of 40 liters once a week. Beginning with the third year, trees usually get established, and some, like the Australian Pine, do not require any supplemental irrigation. This evergreen tree grows into a wispy tree with a pine-like appearance. The gray green branches are thin and jointed, resembling pine needles, and have nodes along the branches covered with small inconspicuous scale-like leaves. Inconspicuous flowers are wind pollinated, and produce small brown cones (1 – 2cm in diameter) that contain winged seeds. Good for screens and windbreaks, along roads, and in parks. May be propagated from seeds. Can be trimmed into a hedge. Leaves and cones produce a thick carpet on the ground. Australian Pine is widely cultivated for erosion control and to restore nitrogen to the soil. It is used in leather tanning and the production of paper pulp. It is valued for its heavy, strong, hard wood and as a source of excellent fuel. It also has various uses in folk medicine. This article is part of a series of articles prepared by the Center for the Study of the Built Environment (CSBE) on water conserving landscapes.